The major stock indexes moved in different directions Friday as investors analyzed a slew of corporate earnings and the latest figures on housing. The Dow closed up slightly, while the S&P 500 and Nasdaq finished modestly lower. CNNMoney's Tech 30 index was flat. Stocks ended the week mixed. It seems that investors are searching for direction after some bigger market moves earlier in the week. The U.S. markets will be closed Monday in observance of Martin Luther King, Jr. Day. Corporate earnings have been hit and miss so far this quarter, providing little impetus for stocks to add to last year's impressive gains. Shares of United Parcel Service (UPS) fell after the shipping company lowered fourth quarter earnings estimates due to a surge of last minute holiday orders. UPS took some heat late last year for failing to make deliveries in time for Christmas. Shares of rival FedEx (FDX) fell slightly on the news as well. Morgan Stanley (MS)shares rose after the investment bank's earnings beat Wall Street estimates. The firm was the last of the six largest U.S. banks to post earnings. The majority of those banks surpassed analysts' expectations, but Wells Fargo (WFC), JPMorgan Chase (JPM), Citigroup (C) and Bank of America (BAC) all reported a sharp drop in mortgage activity due to higher interest rates. General Electric (GE) fell despite reporting a boost in quarterly earnings. "$GE So let me get this straight... They crush the quarter and price goes down?," said StockTwits trader Luv2Ski217, who noted that he was bullish on the stock. American Express (AXP) spiked over 3% to an all-time high even though earnings missed estimates. The results did show a jump in consumer spending. The stock also benefited from some notable analyst upgrades and optimism from the company's management on its earnings call. .
"$AXP miss earnings, who cares, upgrade anyway," quipped Cjcgoss78 on StockTwits. $AXP Conference call positive.. Keeping costs down while expanding biz ," said Ghost22. 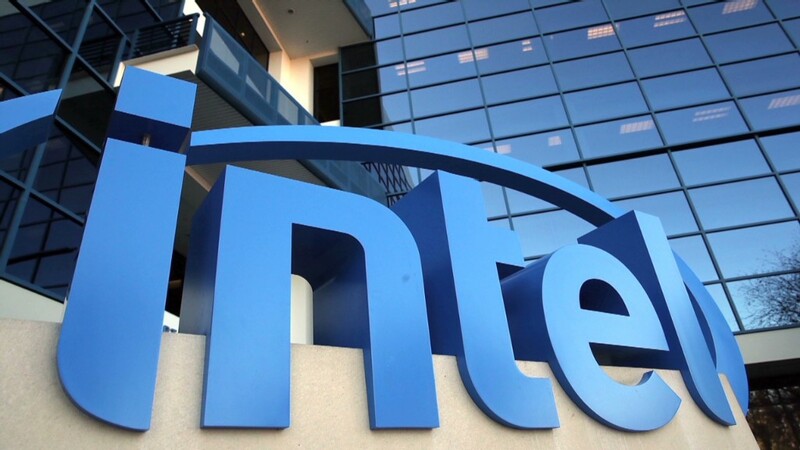 Intel (INTC) shares sank more than 2% following earnings that missed expectations. 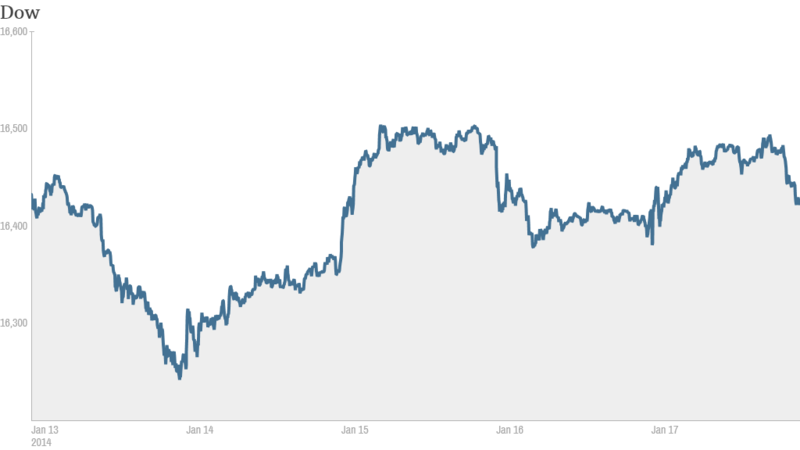 Intel was one of the worst performers in CNNMoney's Tech 30 index. Shares of Electronic Arts (EA) surged more than 11% after an analyst upgrade and a report that the company will beat out its competitors for holiday video game sales. The stock was the top gainer in the Tech 30. But one trader on StockTwits didn't understand why the stock was up so sharply. "$EA Someone walk me thru why this is up so much? What am I missing here," said PProtector. Shares of Nu Skin (NUS) continued to fall. The stock has plunged over 40% since Wednesday after Chinese state media accused the beauty products marketer of running a pyramid scheme. Herbalife (HLF), another multi-level marketer that has been accused by critics -- most notably hedge fund manager Bill Ackman -- of running a pyramid scheme, has dropped more than 13% on the Nu Skin news. On the economic front, the Census Bureau released reports that showed new housing construction and building permits fell in December. The robust housing market has been a main driver of the economic recovery. The main European indexes closed higher, while Asian markets mostly ended with losses.